I'm kind of excited for Valentine's Day this year for a different reason. I plan to go out with my girlfriends since I won't be celebrating it for the first time in three years (if you catch my drift here, that was a pretty big life update!). Nonetheless, I have quite a few gift ideas up my sleeve if you're stressed about what to get your boy toy for Valentine's Day in a few weeks. 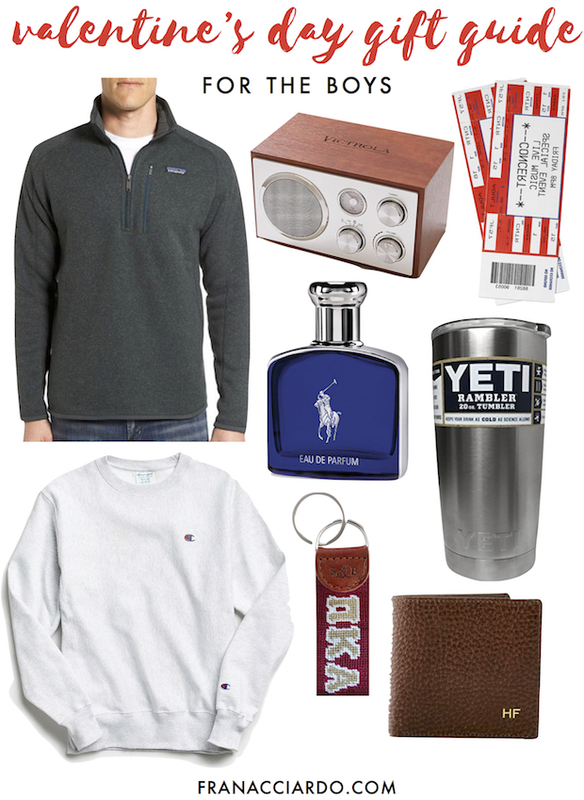 Patagonia Quarter Zip or Champion Sweatshirt // The Patagonia quarter zip is probably on every single gift guide I make for boys, but seriously, if your boyfriend doesn't already own this, he should! If he's not into the quarter zip style (or already has it! ), this Champion crewneck is the coziest crewneck on the market. It fits so well, it's just simple and it looks cool. Plus, you could eventually just steal it for yourself!! Both options are classics and staples in any guy's wardrobe. Speaker // This gift would be such an easy one but really thoughtful! I love the look of this retro speaker, and I'm sure any guy would get a ton of use out of a bluetooth speaker. Tickets // I think it would be so fun to surprise someone with tickets to their favorite band's concert or their favorite team's game! You automatically will have something to look forward to, to do together, another date to go on, you'll make a great memory... It's like the gift that keeps on giving. YETI Tumbler // I honestly couldn't tell you why boys are so into anything and everything YETI, but this tumbler looks really cool; any boy would no doubt be obsessed with it!! Key Fob // If your boyfriend is in a fraternity, I think it would be so cute to get them a needlepointed key fob with their letters on it. (If you're really in tune with greek life, I put pike in the collage above because they were one of my favorites at Lehigh. Funny enough, I know next to nothing about pike boys at Wisconsin.) If your boyfriend is not in a frat, I love the selection of needlepointed fobs available at Tuckernuck. This ski trick one is probably my favorite! Personalized Wallet // Every boy pretty much needs a nice wallet to make it through life. An initialed wallet adds a special touch to a gift that could otherwise be seen as plain and practical. Personalized gifts always show a little extra thought, and that's kind of what Valentine's Day is all about, isn't it? What are your Valentine's Day plans? I hope you found some of these ideas helpful! hi fran! 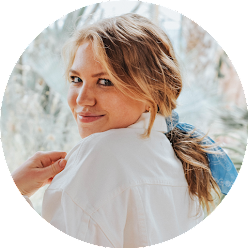 this post is so helpful:) i kinda got the message about jack;) if it's not too touchy or hurtful of a subject, i would love to hear about dealing with a long distance relationship in college and what works/doesn't work.